Oh well hi there, long time no see! The wonderful Zoe is helming Me Made May again this year, and I’m signing up for the challenge. For the uninitiated, this is the deal: for the entirety of May, I am to wear stuff I’ve made every day. 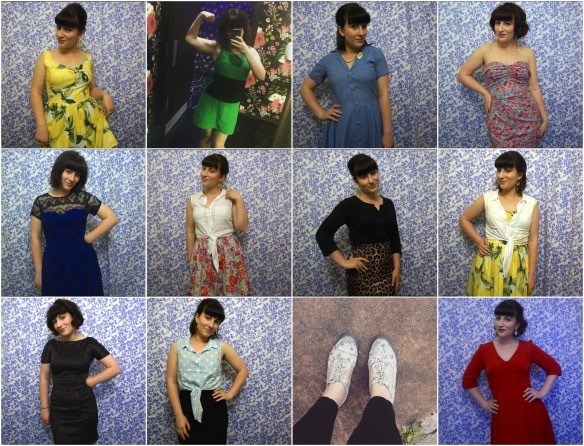 Now, this time last year I was convinced I’d definitely be able to go the whole month wearing just me made stuff. 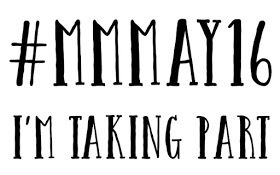 Sadly, I still lack motivation when it comes to making basics, and I’m also going on a holiday in… Ooo 8 hours or so, which may well involve kayaking (I know, poor me). Somehow I don’t fancy a sun dress’ chances in a kayak. THERE WE HAVE IT. And why did I leave this so last minute?! I’ve got to go to bed so I get up in time for my flight… Follow me on Instagram for outfit updates (if you follow me already, then you’ll have seen my holiday sewing already…), though they may be a little sporadic this first week. Can’t wait to see everyone’s makes! One of the best things about sewing is having complete freedom over your wardrobe. You don’t have to make concessions for fabric and fit when you’re the one making the things you’re wearing. But, I don’t know about you, I find I still have a long “no can do” sewing list of garments and techniques I won’t touch. Sometimes it’s because it’s too time consuming, other times it’s because I feel like I’ll make a right old mess of things. And when you’re taking a pledge not to buy any new clothes, it can lead to some difficulties. Confession time: while I haven’t returned to my shopping habits of old, I have broken the pledge a few times in the last couple of months. It all started when I foolishly decided to do the Cardiff Half Marathon (I DON’T EVEN LIKE RUNNING ARGHH). My running gear is threadbare to say the least – basically, I’m the person who will happily run in her pajama bottoms if they can pass for joggers at a distance. And that is totally fine when you attempt a half-hearted run around your local neighbourhood before returning 10 minutes later, panting and wheezing even though you stopped every 30 seconds. A half marathon is serious business. Holey pajamas and my brother’s stolen hoodie would not do. Except I ended up getting beyond frustrated hunting for the right fabric and patterns for what I wanted, simple as it was… and one lunch break I popped into a sports shop and gave in. The guilt is pretty much going to power me through those 13 miles in a few weeks. I didn’t even break my pledge on something pretty – I broke it for some cutoffs and fluro racerback. And it’s amazing how quickly you can start slipping into old habits once you’ve had your first lapse. Never fear! I’m back on the wagon now – but it got me thinking. 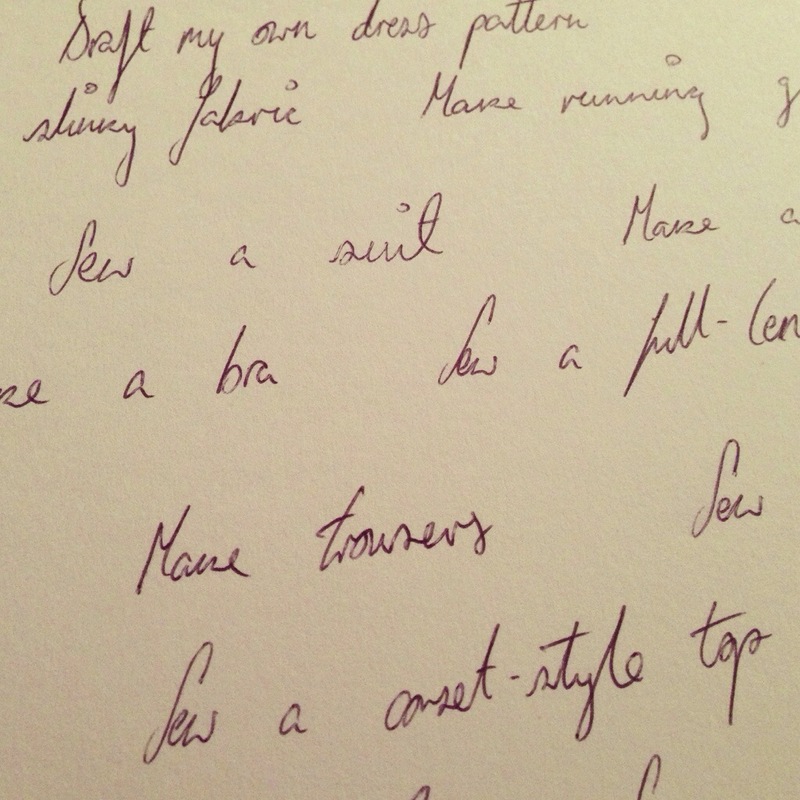 And the more I thought about it, the more I realised just how long my “can’t sew” list is. Let’s see, we’ve got trousers, sequin fabric, coats and jackets… I’m all about the “make do and mend” ethos, but I haven’t exactly got a can-do attitude when it comes to sewing. 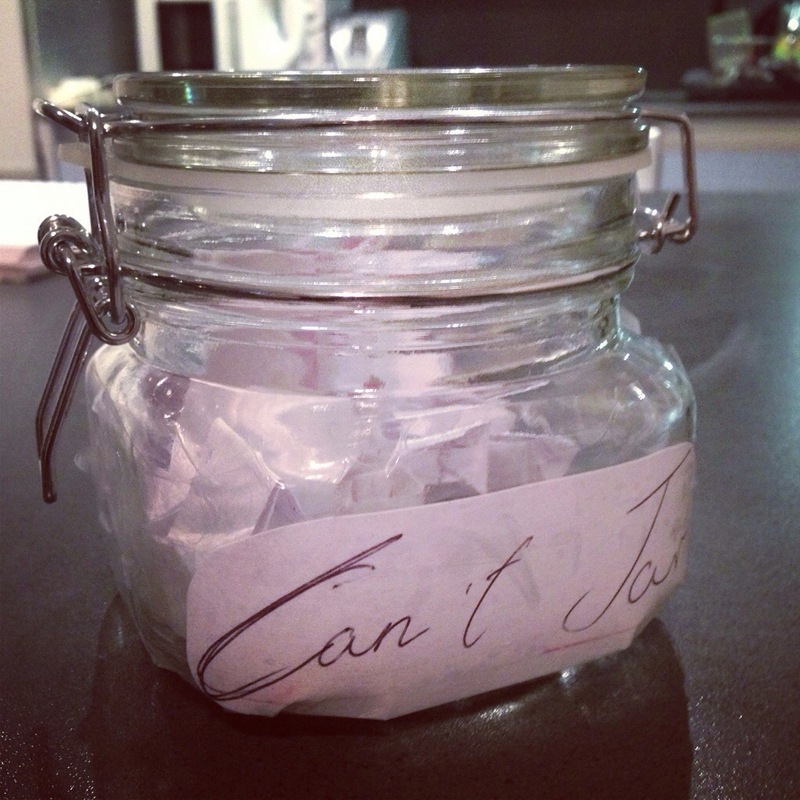 So I wrote all my “no can sews” down and popped them in a jar – appropriately labelled as the “Can’t jar”. The plan is to pick out one at random until I’ve got through the whole thing – and hopefully come out a better seamstress by the end of it. I won’t lie, I’m a little daunted! One of the challenges in there is to sew a faux-leather jacket – probably the most complicated thing I’ll ever attempt. Oh, and for those of you who may be wondering – sewing fitness stuff is most definitely in there! Over to you: what would you put in your can’t jar?